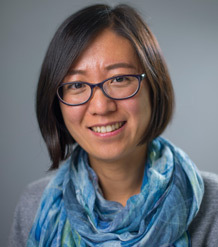 Dr Xiaohui Zhang joined the Exeter Business School in August 2016 as a Senior Lecturer in economics. Coming from a mathematics background, she obtained her PhD in Econometrics and Health Economics from Monash University, Australia in 2009. Before joining the University of Exeter, she had been working at Monash University and Murdoch University, Australia. My research interests are in applied micro-econometrics, including cross-sectional and panel data modelling, applied Bayesian econometrics, semi-parametric and non-parametric modelling and productivity and efficiency analysis. Health economics is my major applied areas. My research topics are across individual health status, health services utilization, private health insurance purchasing decision, chronic diseases, rare diseases, children obesity, hospital performance, health care expenditure, etc. Brown S, Harris M, Srivastava P, Zhang X (In Press). Modelling Illegal Drug Participation. Journal of the Royal Statistical Society Series A: Statistics in Society Full text. Gao J, Peng B, Ren Z, Zhang X (In Press). VARIABLE SELECTION FOR a CATEGORICAL VARYING-COEFFICIENT MODEL WITH IDENTIFICATIONS FOR DETERMINANTS OF BODY MASS INDEX. Annals of Applied Statistics Full text. Feng G, Gao J, Zhang X (2018). Estimation of technical change and price elasticities: a categorical time–varying coefficient approach. Journal of Productivity Analysis, 50(3), 117-138. © 2018, the Author(s). We propose a categorical time-varying coefficient translog cost function, where each coefficient is expressed as a nonparametric function of a categorical time variable, thereby allowing each time period to have its own set of coefficients. Our application to U.S. electricity firms reveals that this model offers two major advantages over the traditional time trend representation of technical change: (1) it is capable of producing estimates of productivity growth that closely track those obtained using the Törnqvist approximation to the Divisia index; and (2) it can solve a well-known problem commonly referred to as “the problem of trending elasticities”. Hillberry R, Zhang X (2017). Policy and performance in customs: Evaluating the trade facilitation agreement. Review of International Economics, 26(2), 438-480. Full text. DOI. Feng G, Peng B, Zhang X (2017). Productivity and efficiency at bank holding companies in the U.S.: a time-varying heterogeneity approach. Journal of Productivity Analysis, 48, 179-192. Feng G, Gao J, Peng B, Zhang X (2016). A Varying-Coefficient Panel Data Model with Fixed Effects: Theory and an Application to U.S. Commercial Banks. Journal of Econometrics, 196, 68-82. DOI. Hauck K, Zhang X (2016). Heterogeneity in the Effect of Common Shocks on Healthcare Expenditure Growth. Health Economics, 25(9), 1090-1103. Full text. DOI. Hong KJ, Peng B, Zhang X (2015). Capturing the Impact of Unobserved Sector-Wide Shocks on Stock Returns with Panel Data Model. Economic Record, 91(295), 495-508. DOI. Feng G, Zhang X (2014). Returns to scale at large banks in the US: a random coefficient stochastic frontier approach. Journal of Banking & Finance, 39, 135-145. DOI. Griffiths W, Zhang X, Zhao X (2013). Estimation and efficiency measurement in stochastic production frontiers with ordinal outcomes. Journal of Productivity Analysis, 42(1), 67-84. DOI. Zhang X, Hauck K, Zhao X (2013). PATIENT SAFETY IN HOSPITALS - a BAYESIAN ANALYSIS OF UNOBSERVABLE HOSPITAL AND SPECIALTY LEVEL RISK FACTORS. Health Economics, 22(9), 1158-1174. DOI. Feng G, Zhang X (2012). Productivity and efficiency at large and community banks in the US: a Bayesian true random effects stochastic distance frontier analysis. Journal of Banking & Finance, 36(7), 1883-1895. DOI. Zhang X, Zhao X, Harris A (2009). Chronic diseases and labour force participation in Australia. Journal of Health Economics, 28(1), 91-108. DOI. Sarin R, Fonseca M, Zhang X (2019). Reputation in Indefinite Interactions: Experimental and Empirical Evidence. This thesis models the importance of reputation in indefinite interactions using experimental and empirical evidence. In modern society reputation plays an important role in many everyday life situations. I analyse the resulting incentive structures through microeconomic modelling and econometric regression analysis. Thus, I gauge the impact of reputational considerations on individual decision making. My teaching interests are in econometrics, business statistics and health economics.